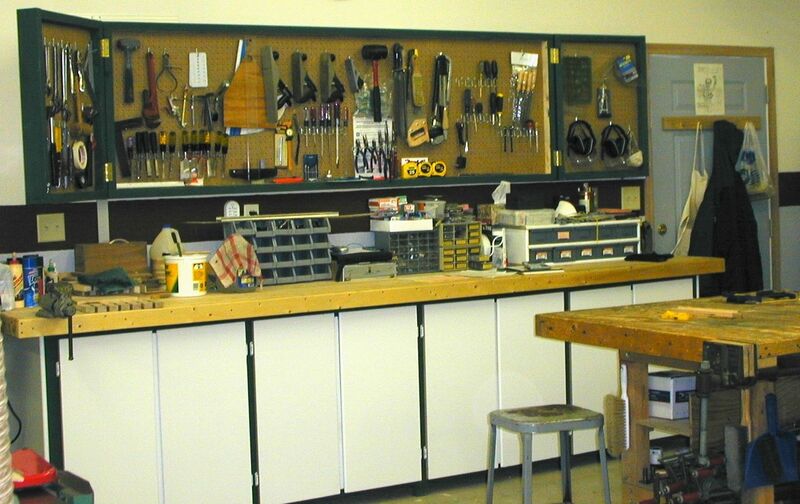 Both the upper and lower Storage Cabinets were designed to hold a variety of hand and power tools. Made from construction-grade lumber such as 2x4's and pine, the top to the lower Storage Cabinets (which hold portable power tools) is made from solid 2x4's glued and clamped together. The upper Storage Cabinet has a peg-board back so that hooks can be placed almost anywhere to accommodate any hand tool.